Sorrento is a small town in Campania, southern Italy. 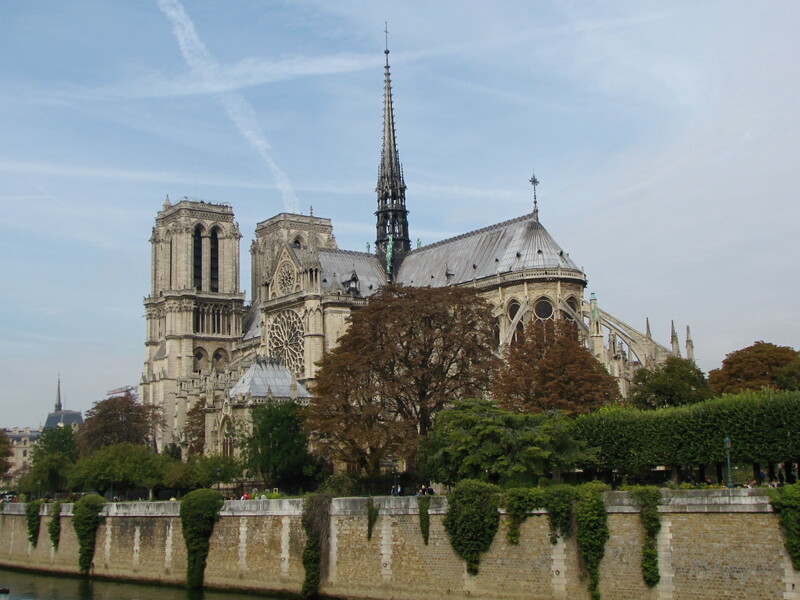 It is a popular tourist destination in its own right, and makes a great jumping off point for visiting some of the region's most famous and spectacular landmarks. 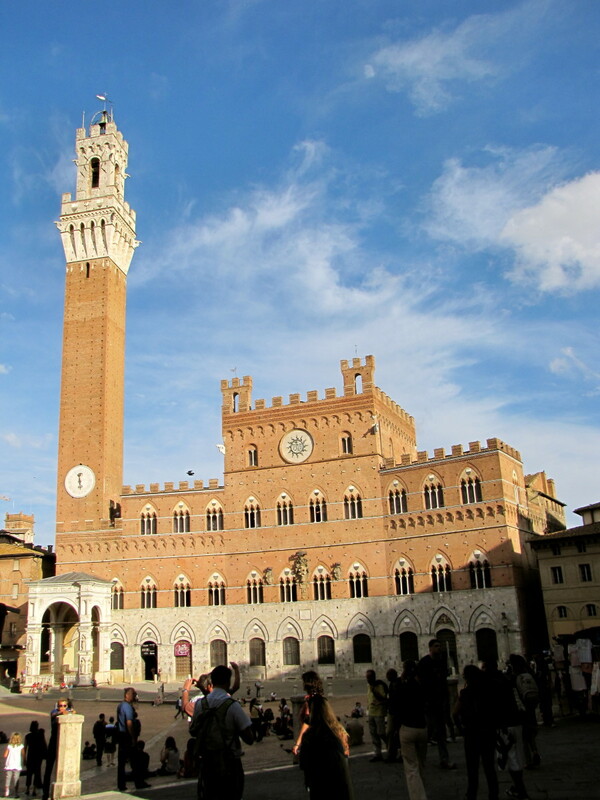 It's easy to while away your time in one of the many sidewalk cafes and restaurants in the main square (the Piazza Tasso), watching the steady flow of people and traffic, sipping a cooling glass of cafe fredo. No one would blame you for doing that, but it's only part of what this Mediterranean paradise has to offer. 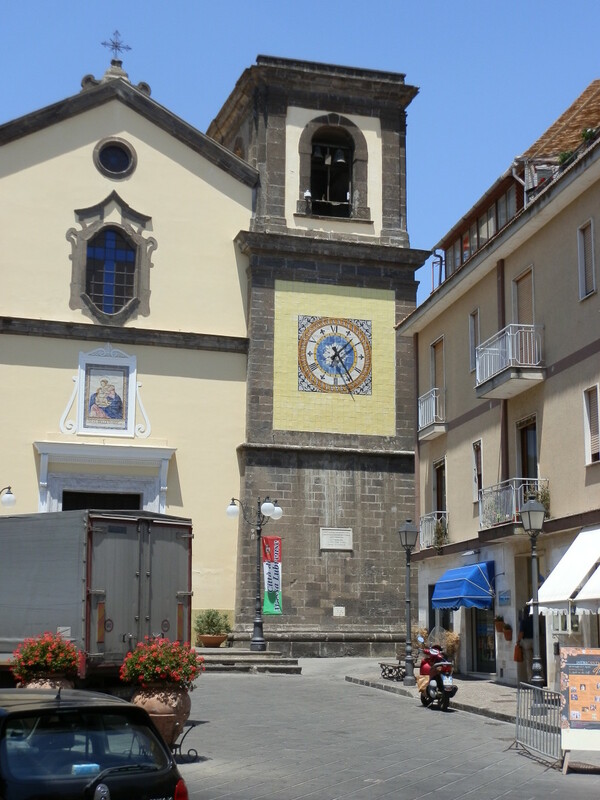 Sorrento's central square is named after the 16th century Italian poet Torquato Tasso, born in Sorrento. 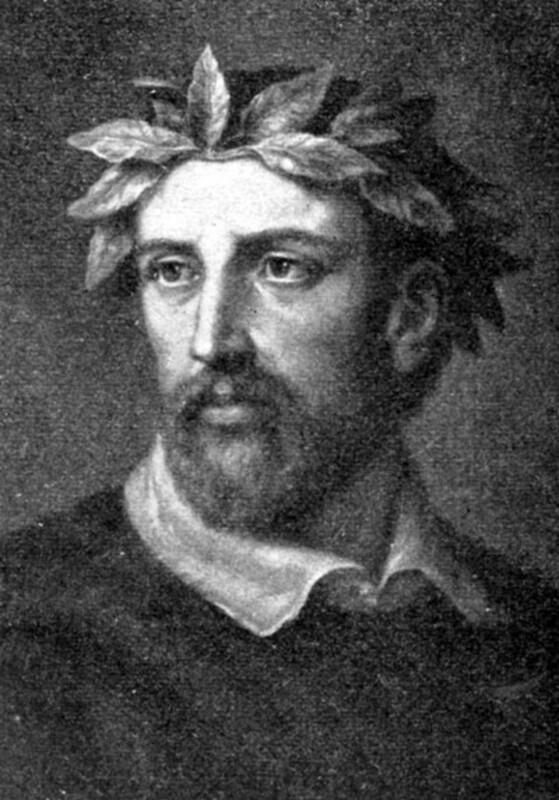 Tasso was one of the most widely read poets of his time, and continued to be influential until the beginning of the 19th century. 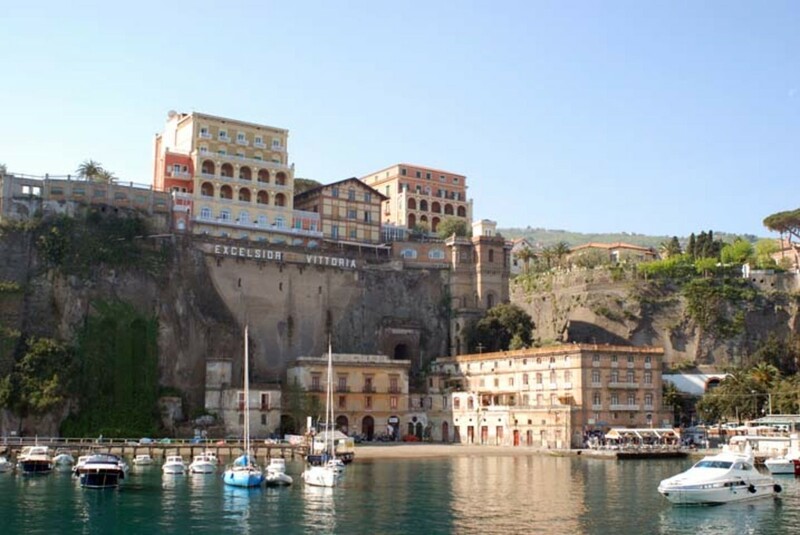 In truth, Sorrento itself is a small place indeed, with just over 16,500 inhabitants. It earns its popularity partly from its undeniable charm and character, and partly from its position on the Sorrentine Peninsula. But before venturing off to explore some of the world's most famous landmarks, there are plenty of things to see and do in Sorrento itself. 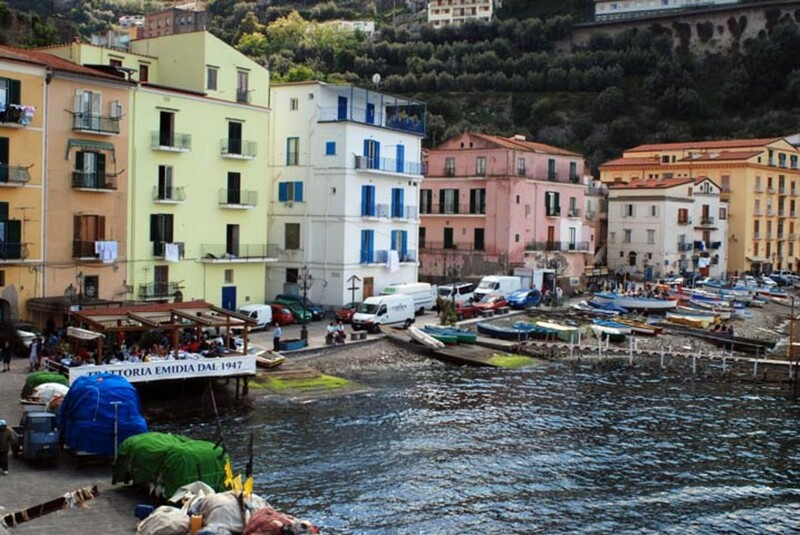 Marina Piccola - the "little harbour" lies at the foot of a sheer cliff on Sorrento's north side. On top of the cliff sits the magnificent Excelsior Vittoria Hotel with its arches and terraced balcony. 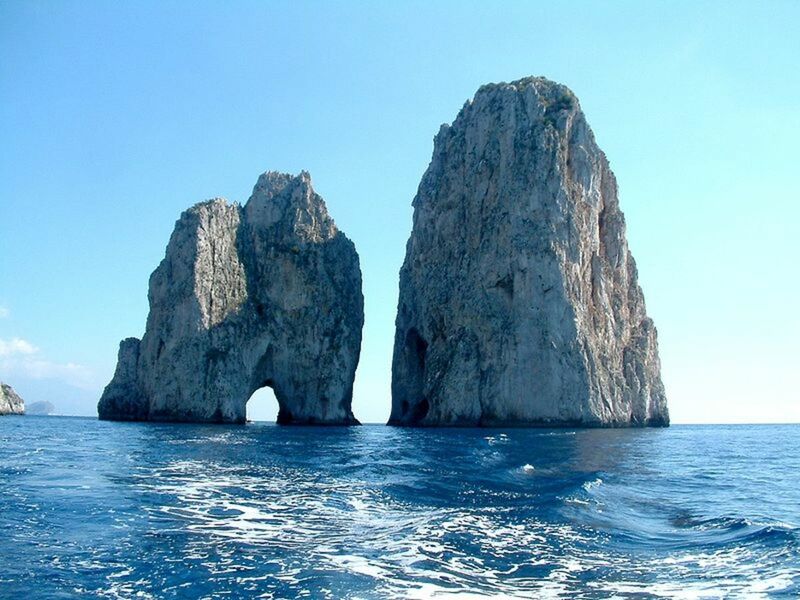 Marina Piccola is where you go to catch the ferry to Capri or Naples. One area is sectioned off and enclosed for the safety of swimmers and sunbathers. Marina Grande - the "big harbour" is found to the West of the city. This was once Sorrento's main port. The journey there takes you through the ancient Greek gateway to the harbour, where you'll find a picturesque hiding place full of rustic charm. Be sure to try some fresh seafood at the open-air trattoria, too. 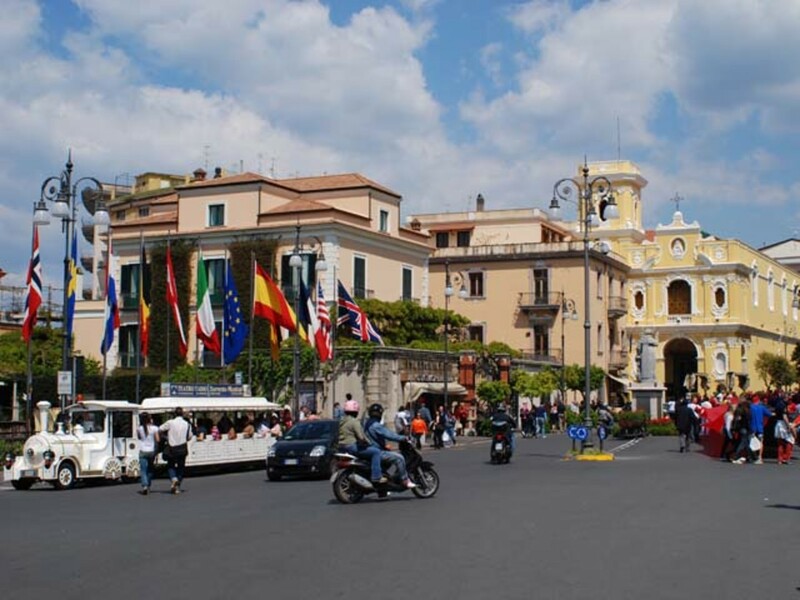 Piazza Tasso - Sorrento's main square is a hive of activity, surrounded by restaurants and cafes that do their best to distract you from the noise and traffic. Away from the square itself are streets and alleyways filled with shops selling souvenirs and everyday items. During peak season it's best to stop by at night when finding a seat in the shade isn't such an issue. 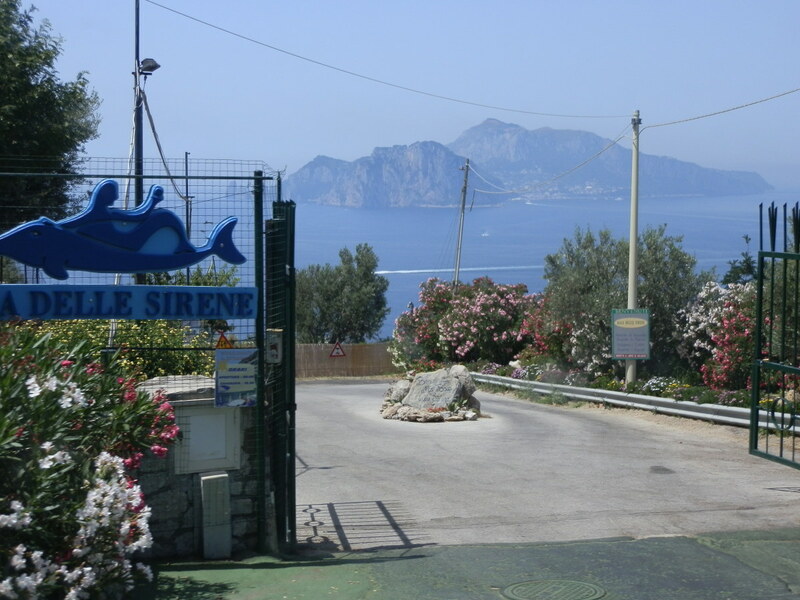 The Foreigners' Club - there are plenty of quality places to eat in Sorrento, and everyone will have a favourite. If you get a chance, visit the Foreigners' Club on Via Luigi De Maio. As well as great food and first-class service, the restaurant also offers some of the best views of Vesuvius in the area. 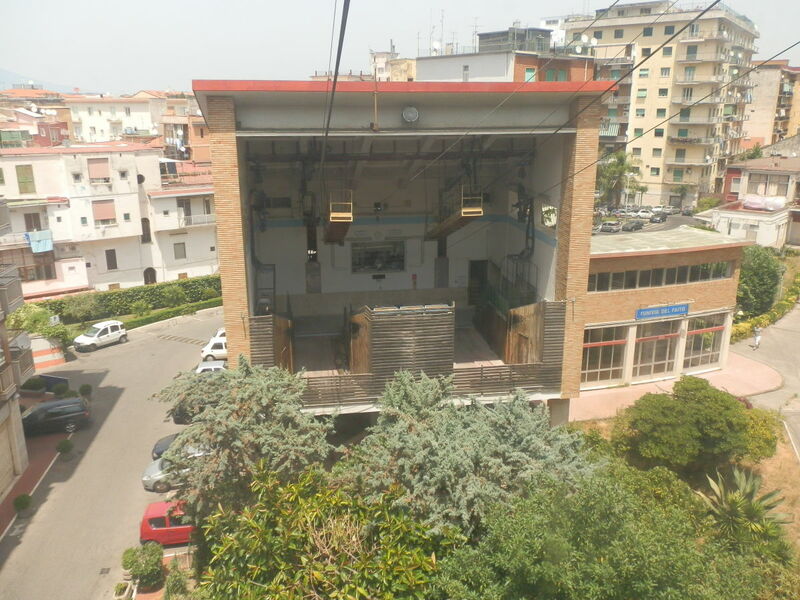 The building also houses the Sorrento Tourist Office, so you can find out what's on locally at the same time. 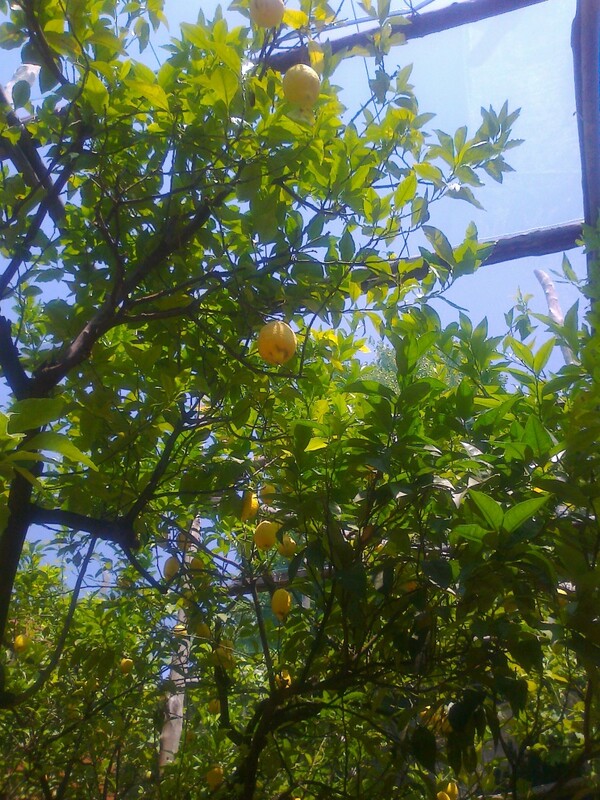 The Gardens of Catado - (I Giardini Di Cataldo) this lemon grove can be found just off the main street in Sorrento. A short walk beneath lemon trees leads to a stall selling Sorrento's famous limoncello liqueur, as well as other lemon-inspired delights. Sorrento sits on the Bay of Naples, providing views of Naples itself, Mount Vesuvius, and the Isle of Capri. 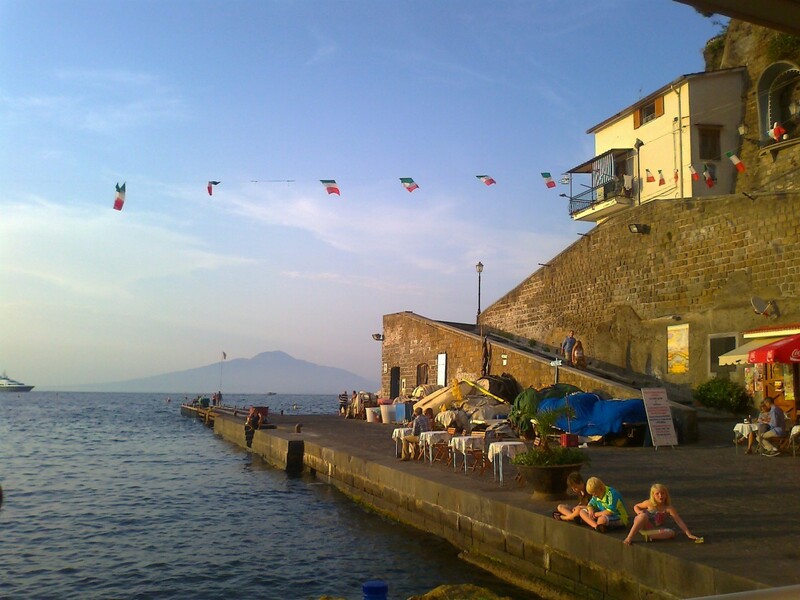 Even if you love Sorrento, you'll want to spend part of your holiday going further afield. It's easy to get transport to any of the many possible destinations, either by booking as part of a tour, using public transport, or hiring a private taxi. Public transport is cheapest, and though occasionally unreliable, it's an experience not to be missed. Go by train and follow the locals, who'll swear you're in the right carriage on the right platform, only to get up and move en masse following an announcement in Italian. Likewise when you clamber aboard a bus at the bus station whose illuminated sign says one thing one minute and another the next. Just make sure you can pronounce the name of the place you're going to clearly and precisely, and people will help you as much as they can. Where can you go? 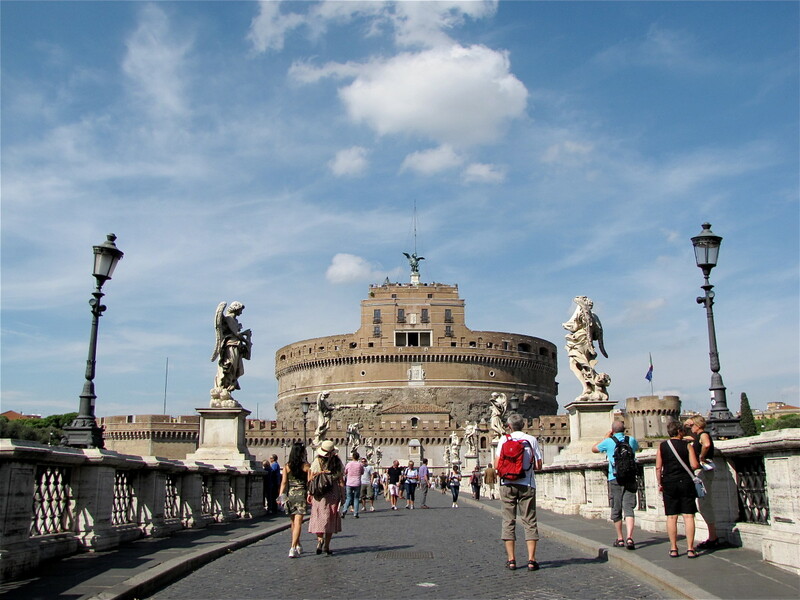 Depending on your length of stay, you can book excursions as far away as Rome. If you want to venture to places that are nearer to Sorrento, though, it doesn't take long to get to Capri, Naples, Mount Vesuvius, Pompeii, or the Amalfi Coast. 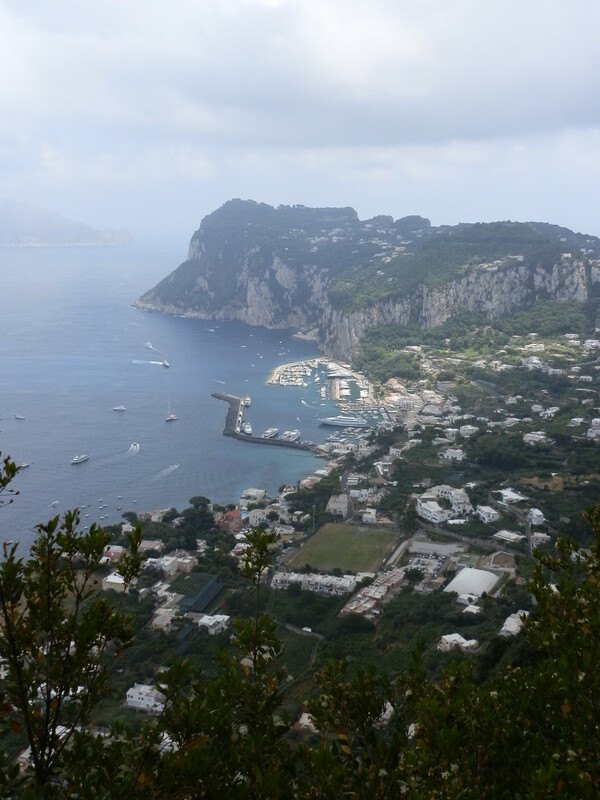 Capri - the island also has its own Marina Grande, where ferries from Sorrento and Naples dock. Most tours take you up to Anacapri, the highest point on the island, with spectacular views of the harbour and the bay below. 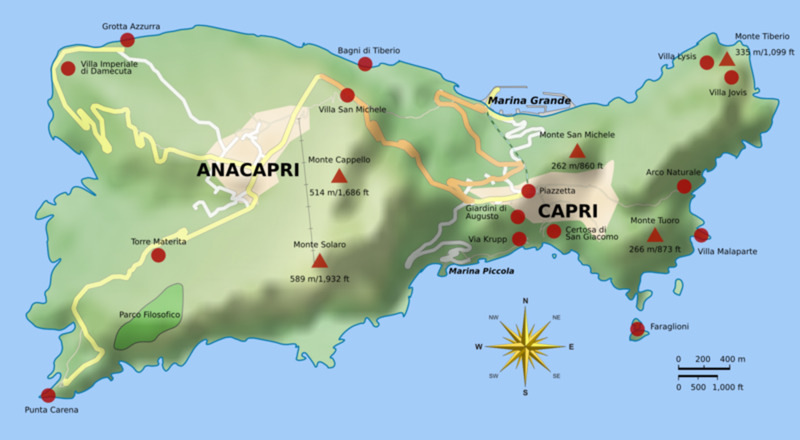 In Anacapri you can take the chair lift to the top of the island. 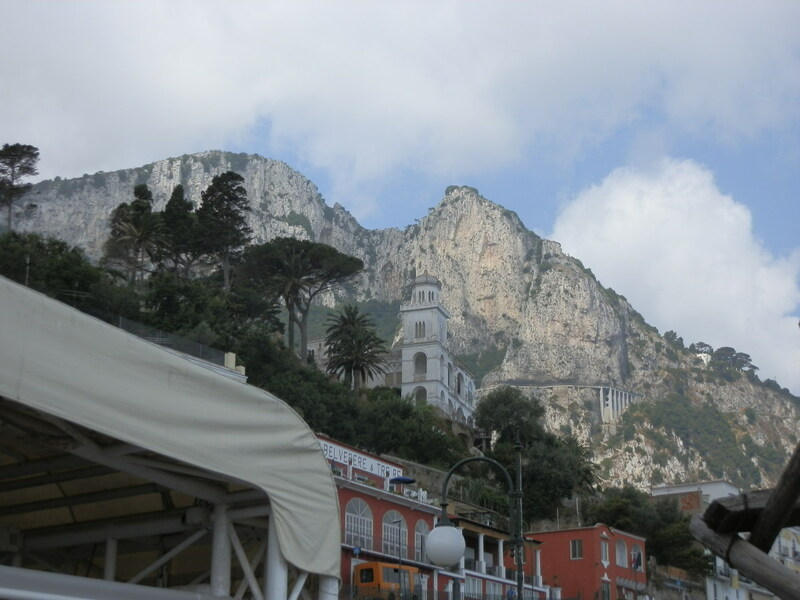 The centre of Capri is the Piazza, which is where you can catch the funicular railway back down to the harbour. Visitors also enjoy a trip to the famous Blue Grotto, while others spend time exploring the narrow alleyways that lead off the Piazza. Pompeii - like its neighbour Herculaneum, Pompeii was buried in ash when Mount Vesuvius erupted in 79 AD, killing 20,000 and preserving the city intact. 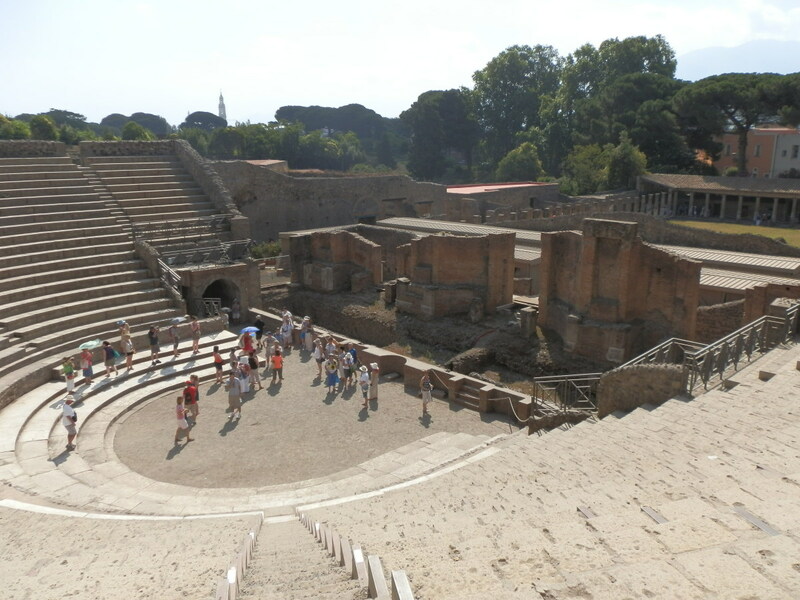 Now it's an excavation site and open-air museum that shows us how the ancient Romans lived. The site is always busy, so going on a tour with an experienced guide is advisable. Naples - this is the capital city of Campania, the third most populated city in Italy. Naples can be very busy and very expensive, with traffic congestion similar to that found in New York City. From Sorrento you can reach Naples by taxi, bus, train or ferry, depending on your preference and extravagance. A direct bus service leaves twice a day from Naples Central Station square and takes you to the visitor parking area of Mount Vesuvius. 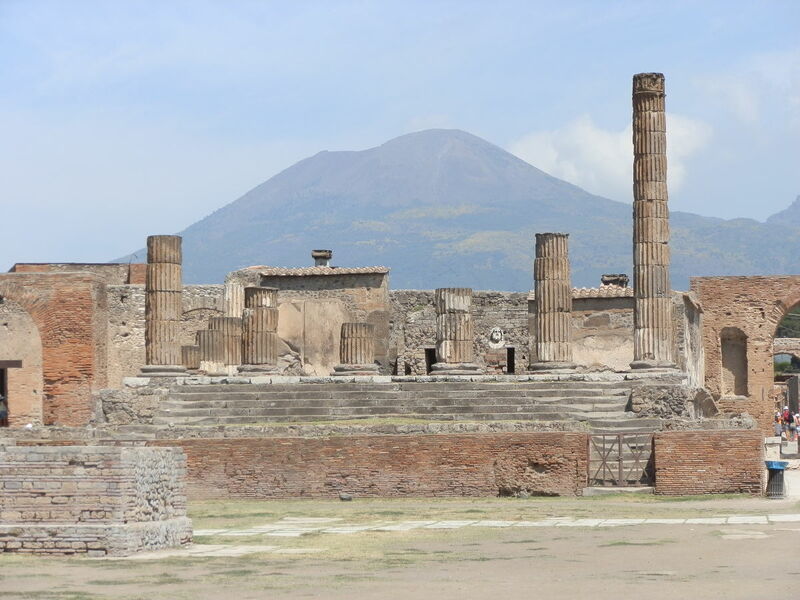 Mount Vesuvius - famed for its eruption that buried Pompeii and Herculaneum, the volcano is considered dormant these days. 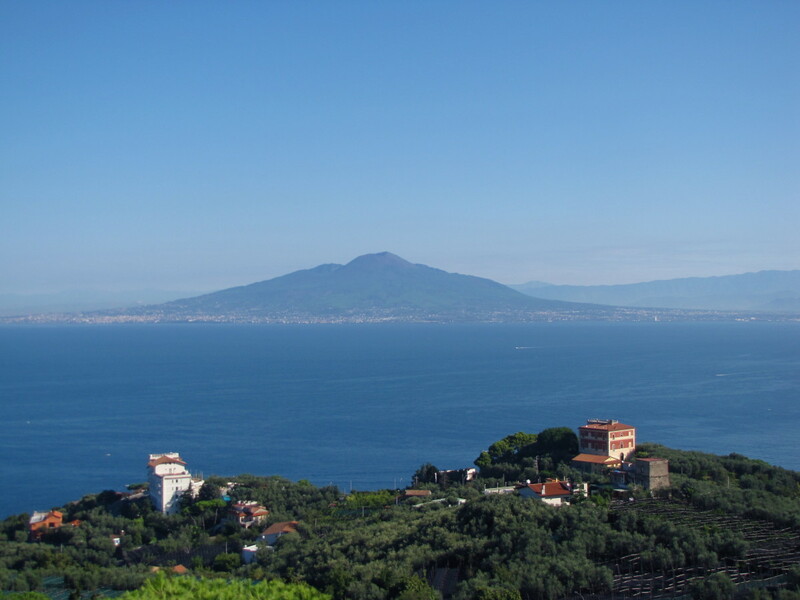 Wherever you go in the Bay of Naples, Vesuvius dominates the skyline, especially on clear days. If you venture up to the top, and if the fog and clouds permit, you can enjoy panoramic views of Naples, Sorrento and Capri from the other perspective. 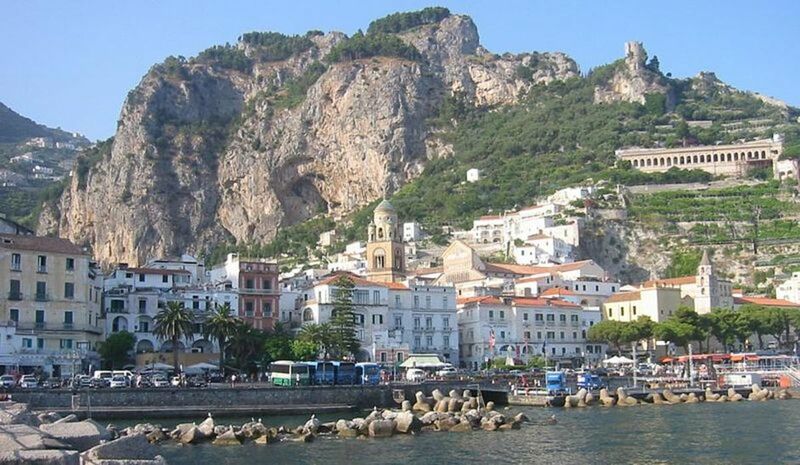 Amalfi - this historic town is just over an hour from Sorrento. Tours generally stop off at Ravello in the hills above Amalfi, where the views are breathtaking. Amalfi itself is one of the largest towns on the Amalfi coast, with squares connected by pedestrianised streets where restaurants and souvenir shops abound. Sant'Agata - lies on a hill between the gulfs of Naples and Salerno. Worth a trip to visit the Desert Monastery which, when it's open, enables panoramic views of the whole area. 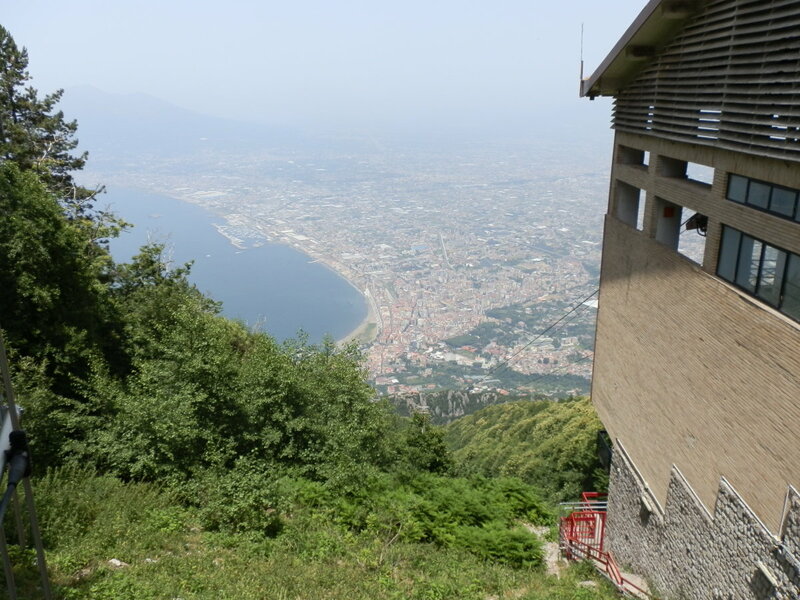 Castellammare di Stabia - take the Funivia (cable car) to the top of Monte Faito. 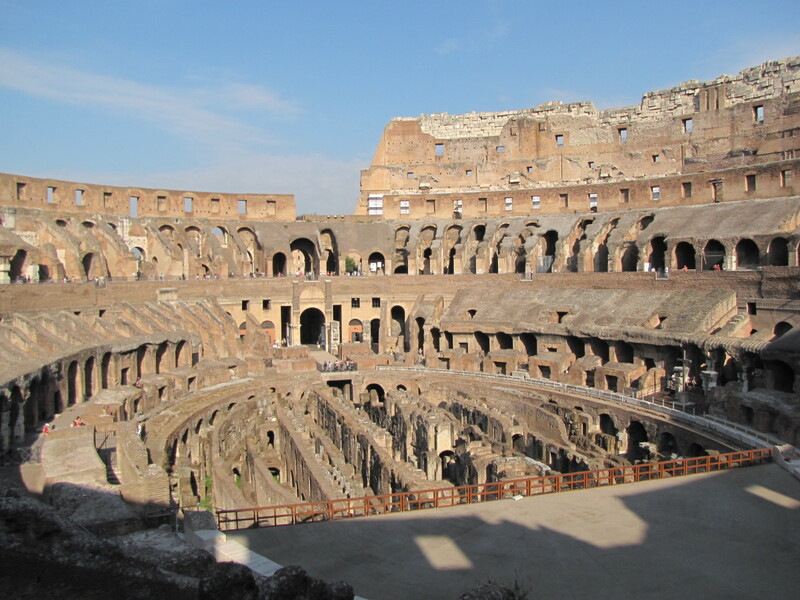 The trip takes about 15 minutes and rewards you with stunning views of Naples and Vesuvius. 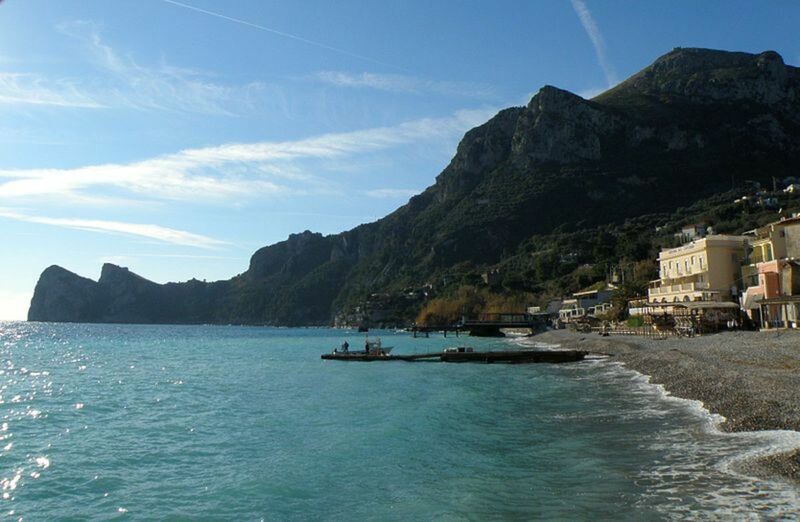 Marina del Cantone - a gorgeous pebble beach on the Amalfi coast, perfect if you want to get away from the hustle and bustle. Takes about 40 minutes by local Sita bus. The nearest airport is Naples, about 53km away. Transfer by taxi takes about an hour depending on traffic. Buses also run from the airport. The city of Naples is 7km from the airport, where you can catch a train on the Circumvesuviana line. Italian currency is the Euro. There are plenty of cash machines scattered throughout the city, and most of these take major credit and debit cards. 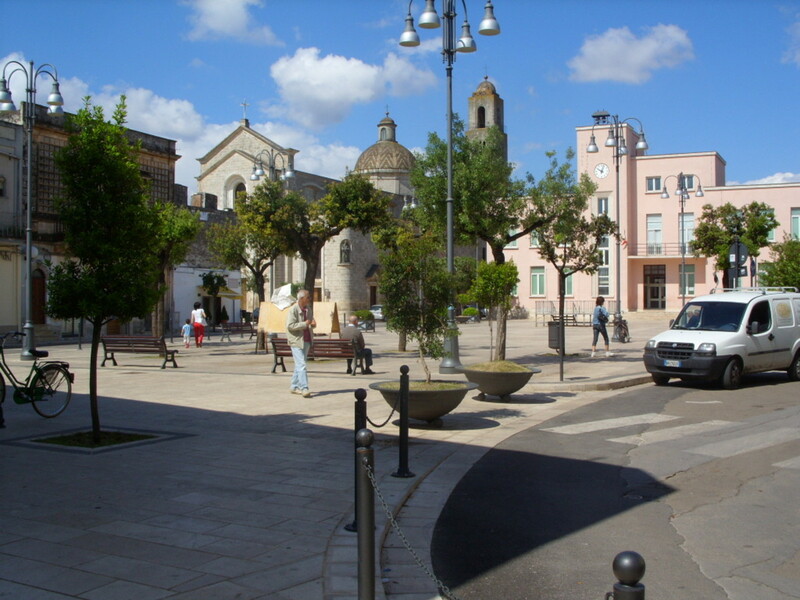 The main shopping street is the Via San Cesareo. 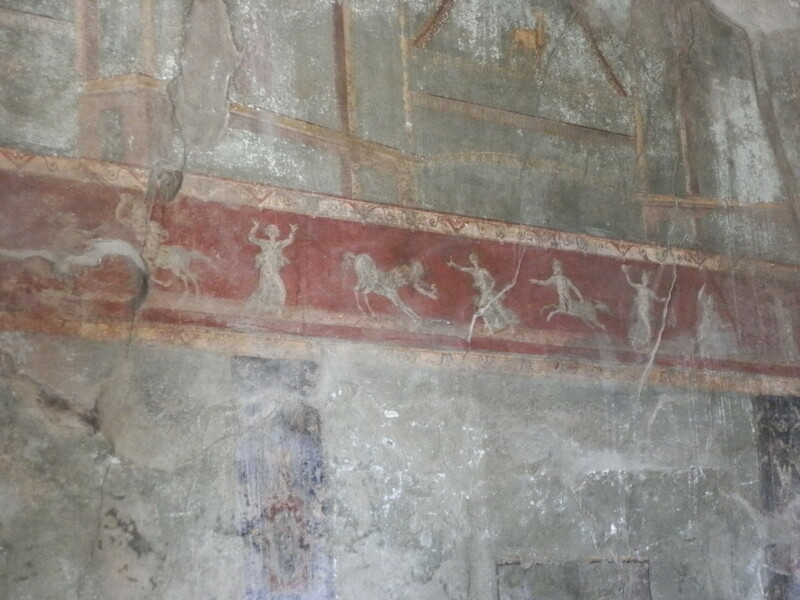 If you ever get tired of the scenery and architecture, the villas perched precariously on steep cliffs with views to die for, you can always visit the Museo Correale di Terranova to find out more about the history of Sorrento. Or, when it's open, stop in at the Museo-Bottega della Tarsia Lignea to see examples of traditional inlaid wood. A really beautiful part of the world, I'd love to go back again some time. And like you I've had fun on Italian public transport, you've got to expect the unexpected...! You're welcome newusedcarssacram... thanks for visiting my Hub! Italy always fascinates me, thanks for the share. What a truly beautiful place you have found. I'm sure those who visit must feel a serenity and peace to be surrounded by such color and beauty.Sorrento.......I am coming. Thanks for writing and share with us. I also enjoy the pictures....beautiful. Voted up! Thank you all for your awesome comments! Grazie mille! Beautiful! I'd love to visit there someday, when I can afford myself. Thanks for sharing such wonderful guide, and I already feel like my soul is travelling there now. wow, excellent visual & reading...thanks for sharing. Hey John, am so happy to see the hub chosen a hub of the day !! Great Job and well deserved !! Oh I just love this hub. I went there over 20 years ago but had forgotten it's beauty and the pleasurable experience I had there. You reminded me and now I want to go back. Voted up and am now following. Gorgeous place - I went there for my honeymoon in August. This just makes me want to go back! Amalfi is SO gorgeous - it is on my bucket list. My parents took a European cruise and visited the town. I love Italy - we have only been to the ski resort there (Sauze D'Oulx - we flew into Torino). I want to go back someday soon! What a beautiful hub about a beautiful place. Congrats on your hub of the day. 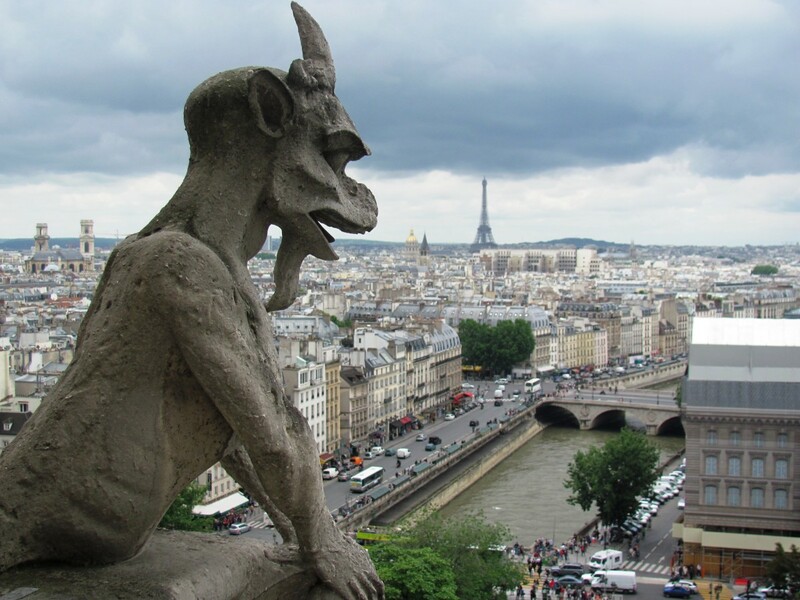 Oh, I would certainly love to visit there someday. Your photos and descriptions call out to me. Also, Sorrento being home to the music box is also a big draw for me. I love this hub. Voted Up and shared. Awesome hub & well deserved HotD. Hopefully I will get there within the next couple of years. I'm book marking this for when I make my plans. Thanks for the detailed info. Thanks adrienne2! Maybe it's a chain??? Glad you liked the Hub anyway! Congrats on being hub of the day! I can see for your article you have really did your research on Sorrento. I read someone else's comment about Sorrento being a restaurant it started me to thinking I did not know it was a real place either. I could declare I have seen a Sorrento's restaurant here in Chicago. Thanks Valene! It's a real place... and a gorgeous one too. Thanks starstream. Hope you make it someday! 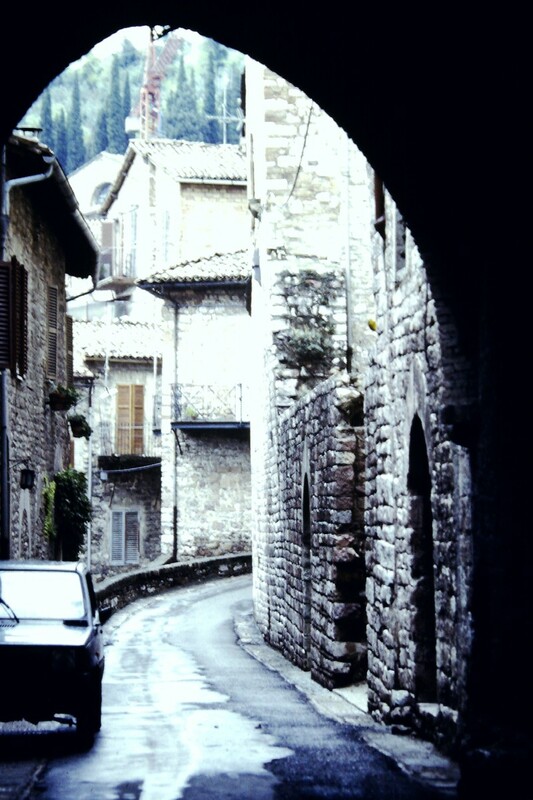 One day soon I want to make plans to see Italy. Your hub is helpful in planning that dream trip. 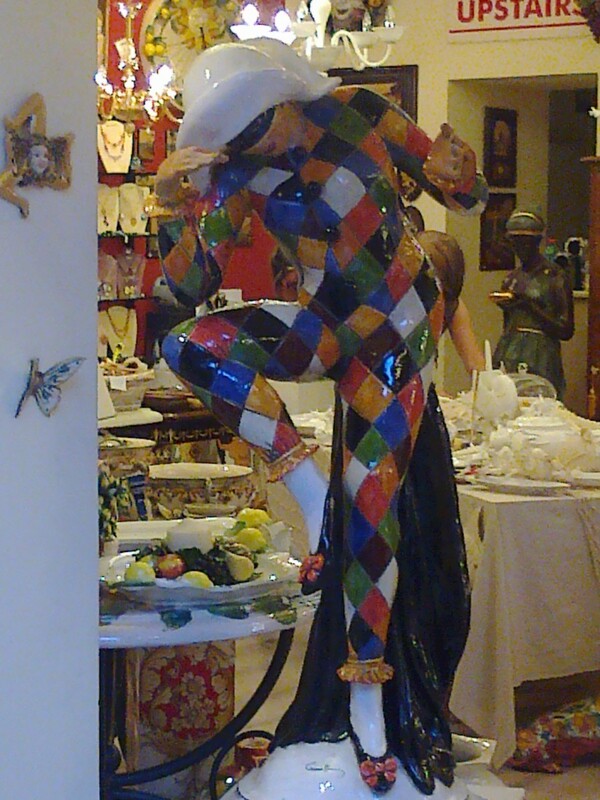 There is nothing like Italian Arts. 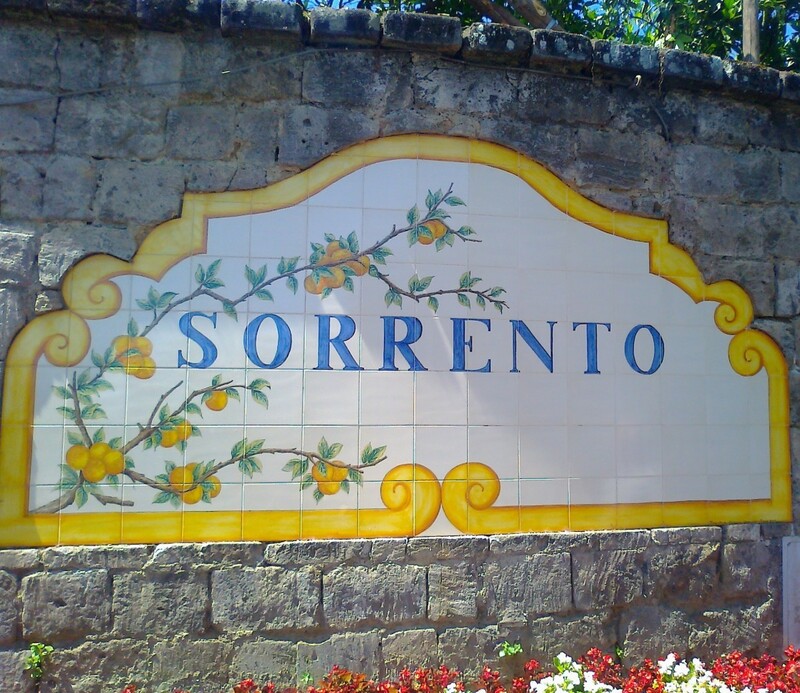 There's a little Italian restaurant in a small town near me in Kansas City called Sorrento's...I didn't know it was a place in Italy! I thought it was just someone's last name. This looks like a fantastic place to visit, congrats on Hub of the Day! 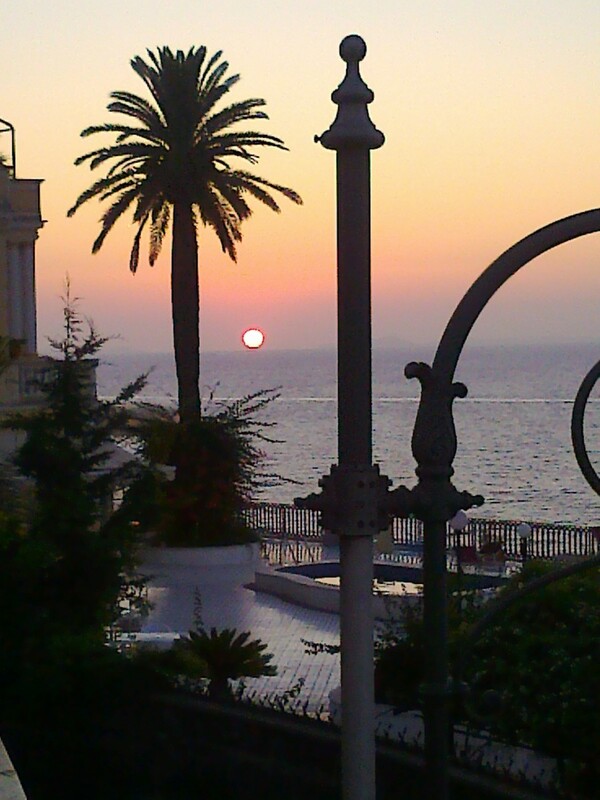 Thanks for this look at visiting Sorrento. The fresh seafood at the Marina Grande's open air trattoria would likely be our first and last stop, but you make fitting everything else in between the two meals seem like a must-do. Congrats on your Hub of the Day award for a neat post. It looks very interesting and amazing from the way you have written it. Hope to see it. I haven't been to any of the European countries; planning to visit them in the near future. Voted up. Thanks KoraleeP! Definitely worth it if you get the chance. Sorrento sounds like an amazing place to visit. I love Europe and would also love to live over here. Currently, I am visiting Germany. We don't have plans to go to Italy, but hopefully next time. WOW WOW ... so amazing place, it's a super exotic location !! I would like to visit the place someday !! Nicely written John!! But am surprised that I am the first commenter on this hub ?? Am gonna share this, it certainly deserves attention !!! Great work !